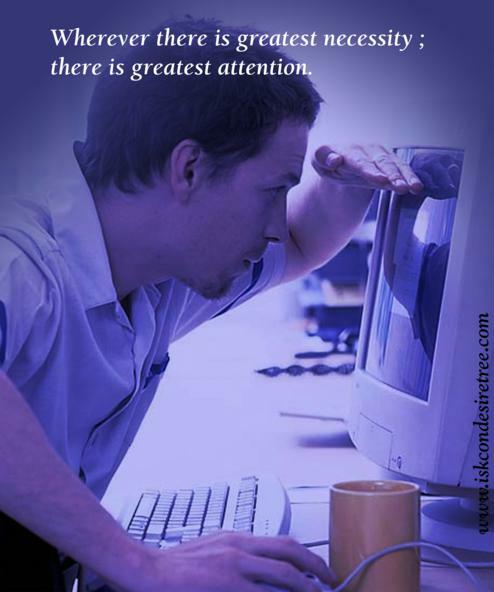 Wherever there is greatest necessity; there is greatest attention. A devotee lives in this world, but his attention is not on this dream world. His attention is fixed on the reality of the spiritual world.